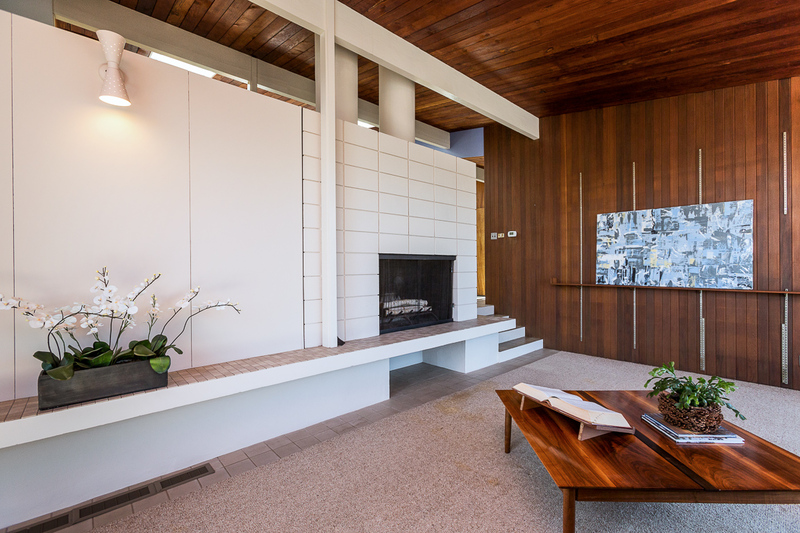 Click any image to enlarge and view as slide show. 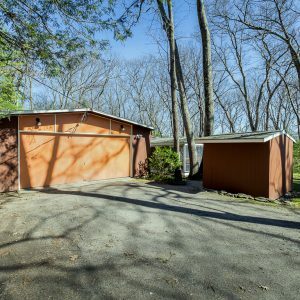 Garage with Workshop and Shed. 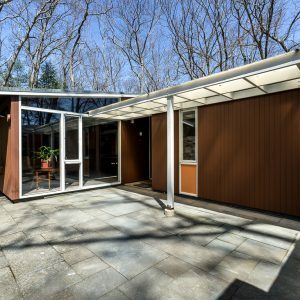 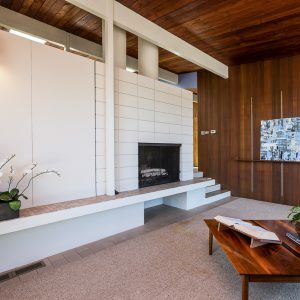 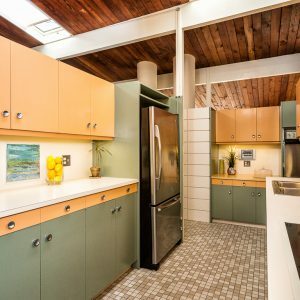 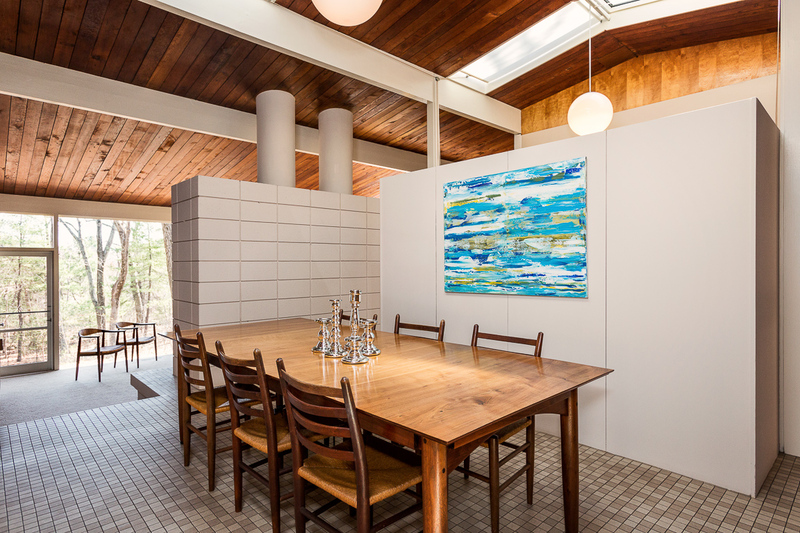 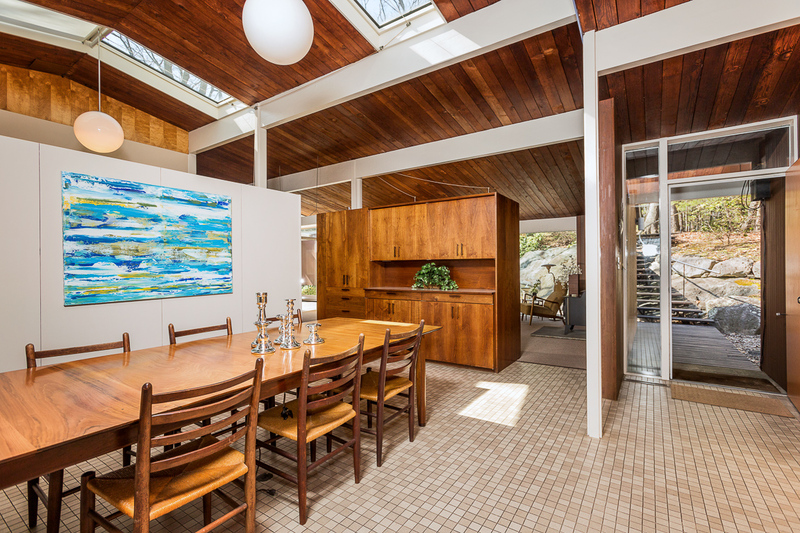 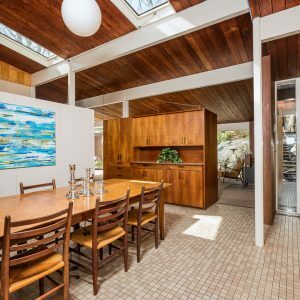 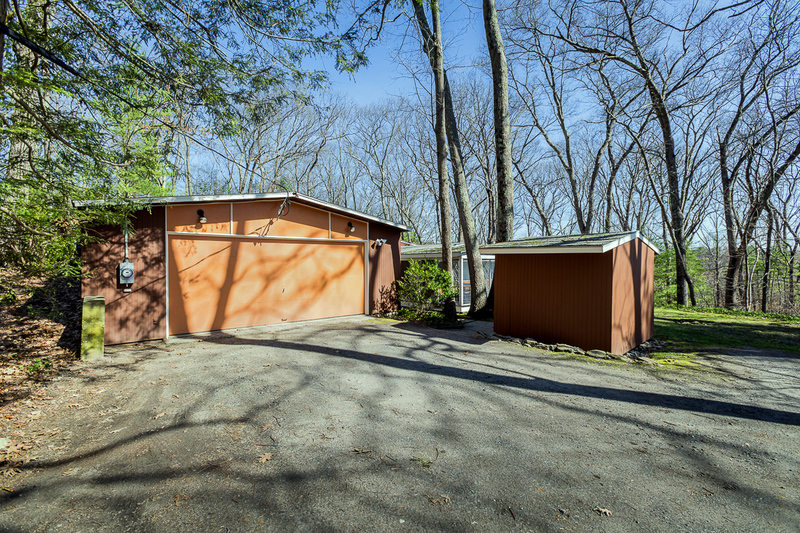 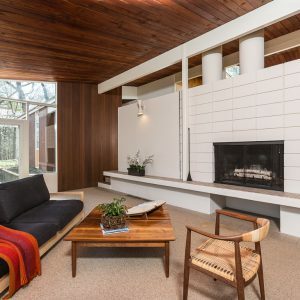 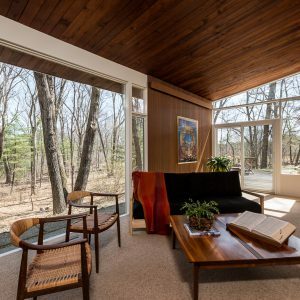 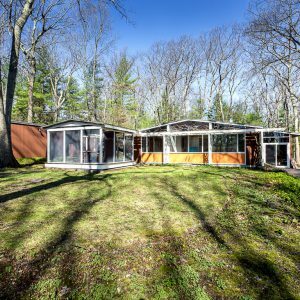 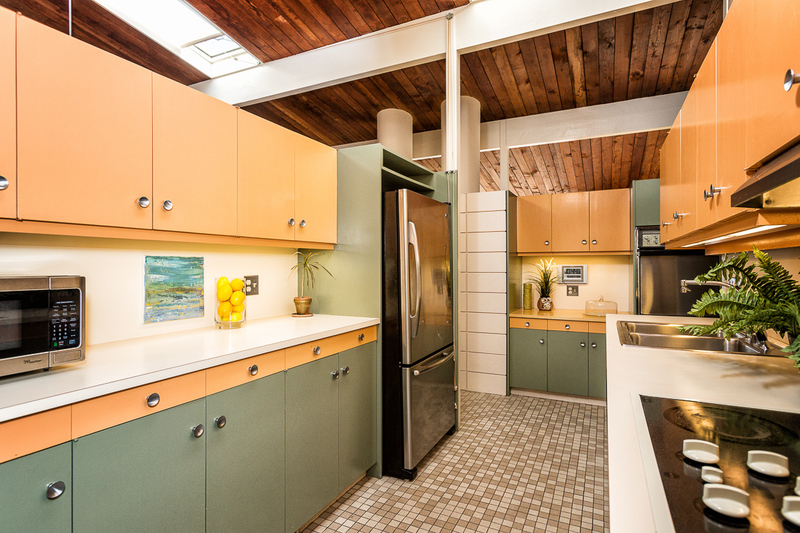 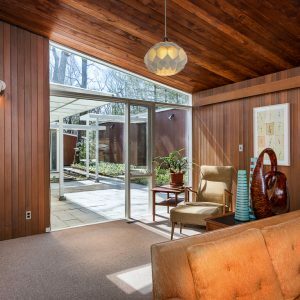 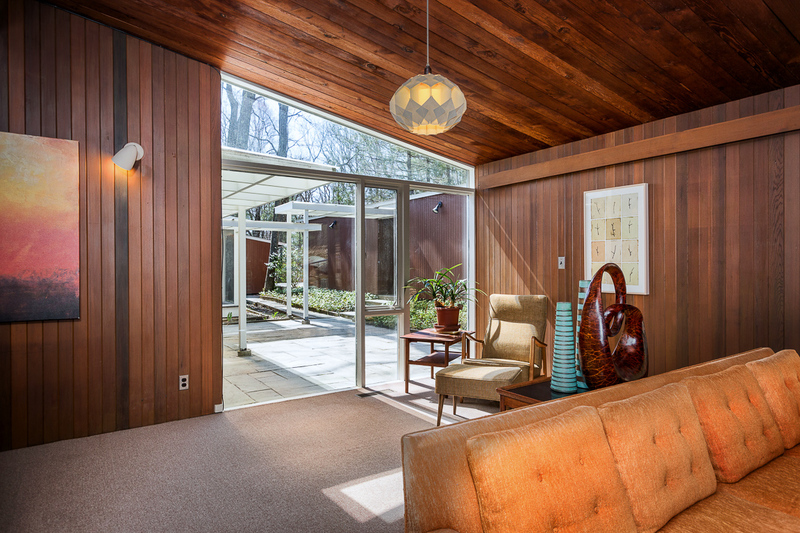 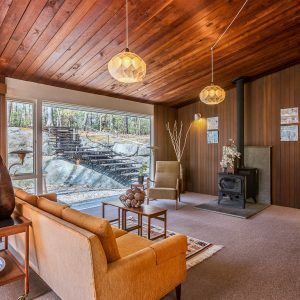 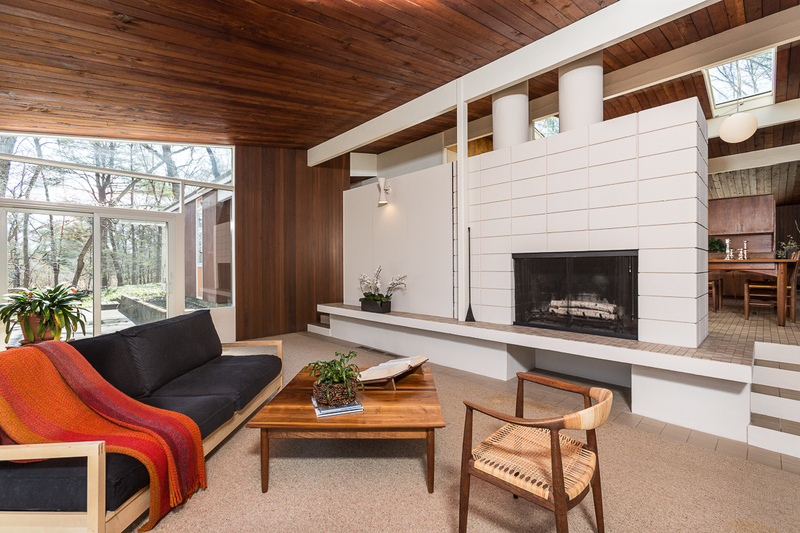 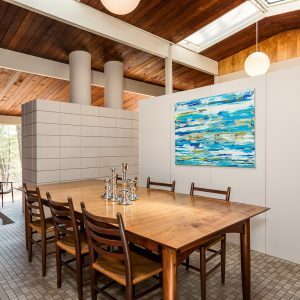 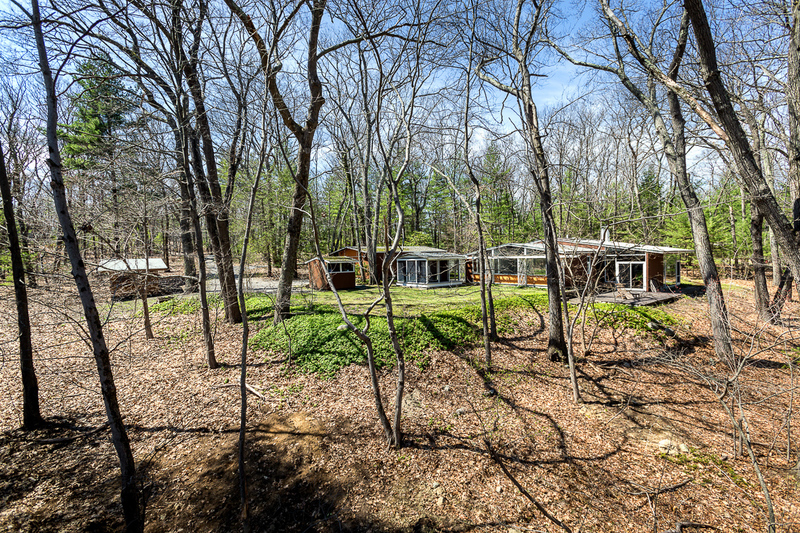 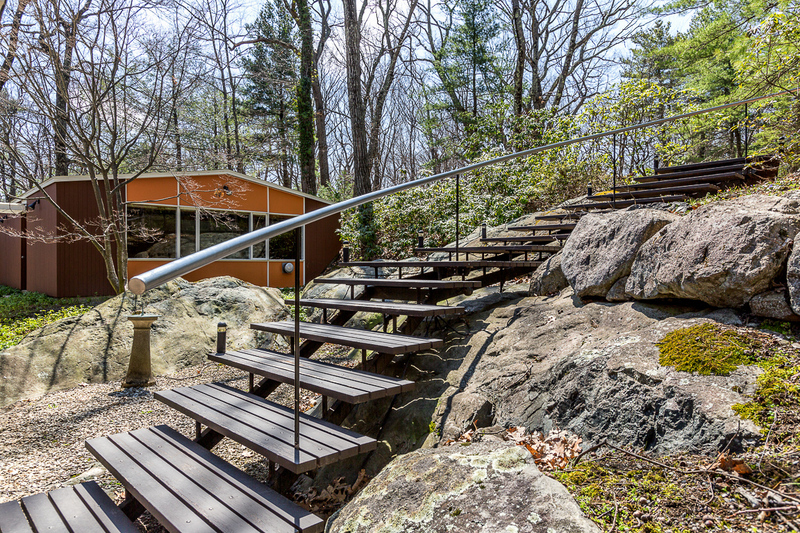 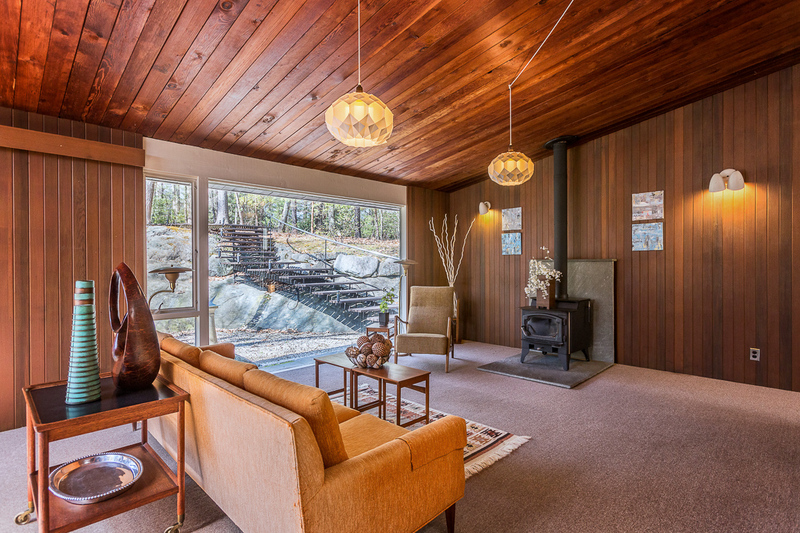 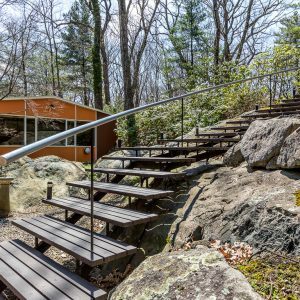 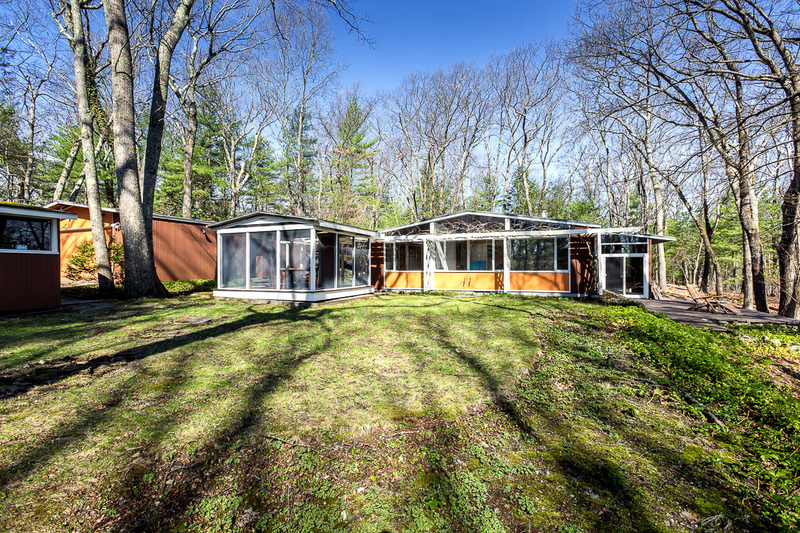 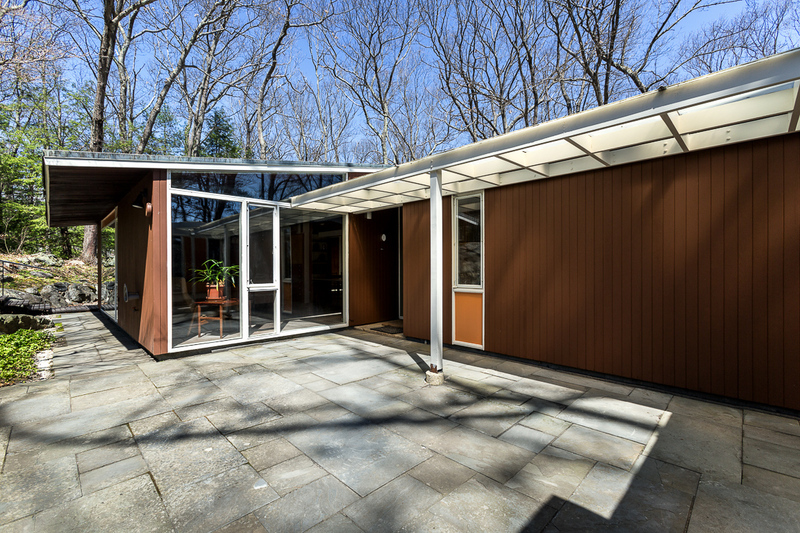 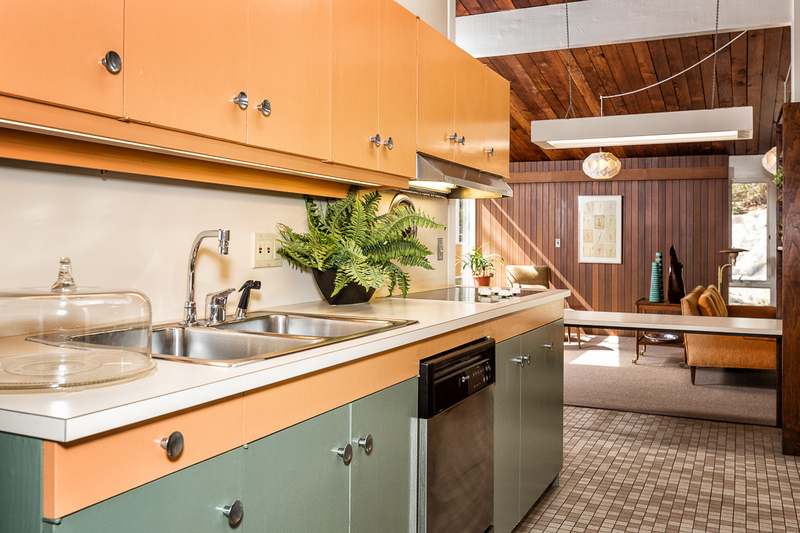 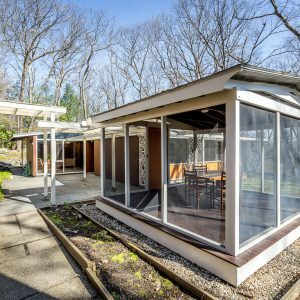 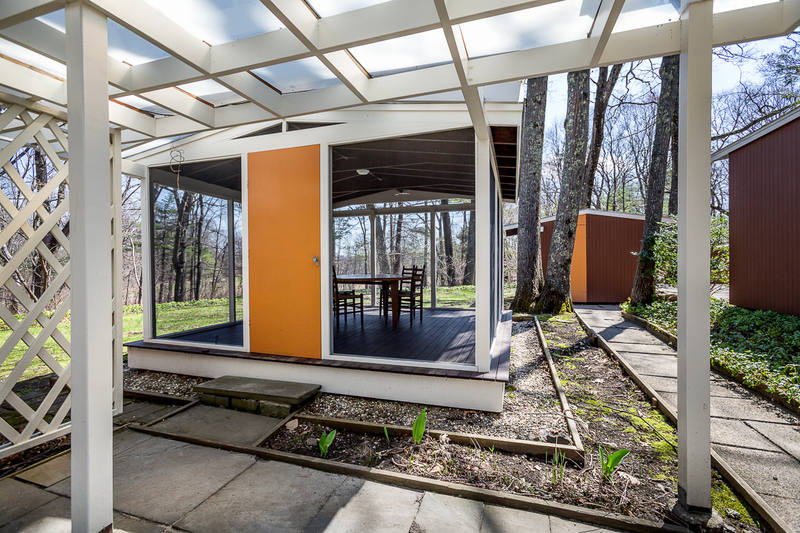 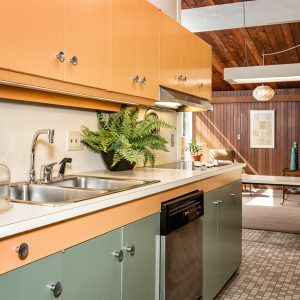 Brown’s Wood is a neighborhood of 23 modernist homes built in the 1950s, designed by the era’s finest local modernist architects, and nestled into wooded lots on Laurel Drive, Moccasin Hill, and Conant Road in Lincoln. 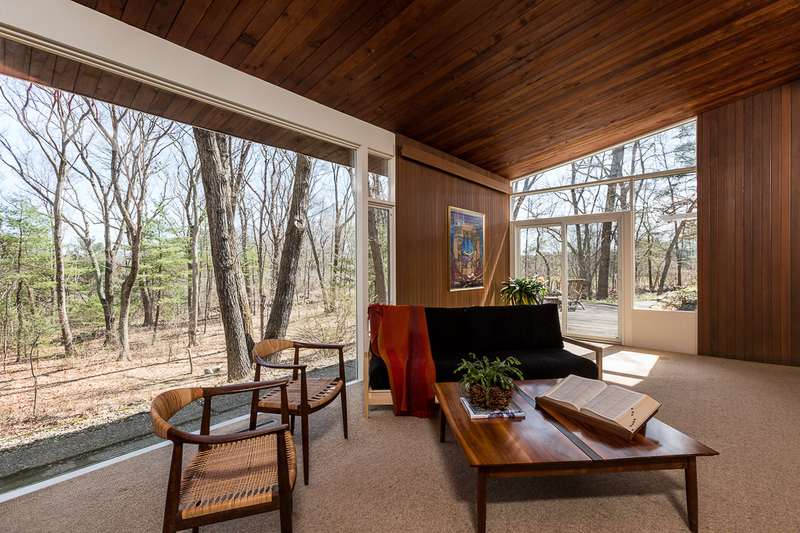 The project began in May 1953 when a group of young families, inspired by Walden II and the utopian vision of Ann and Ranny Gras, met at MIT. 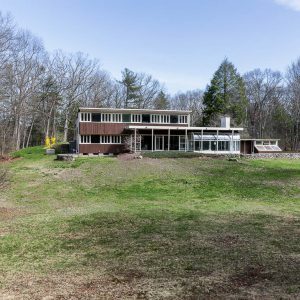 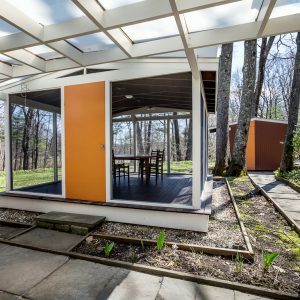 Further inspiration came from similar planned (intentional) modernist developments, Six Moon Hill, Peacock Farm, and Five Fields in Lexington, Snake Hill in Belmont, Conantum in Concord, and Kendal Commons in Weston, some of which were built concurrent to Brown’s Wood. 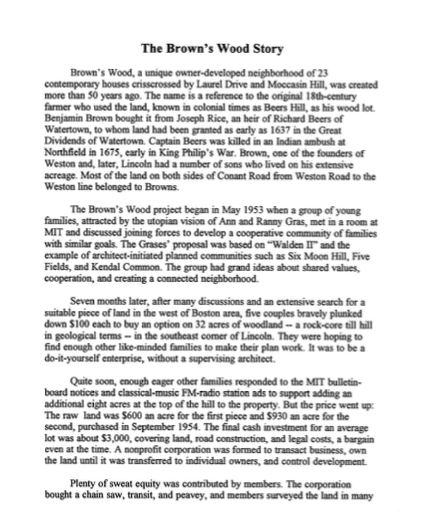 In 1954 Brown’s Wood was incorporated and those who had purchased options for the 23 lots reviewed and approved each member’s individual plans for houses — no ranches, colonials, or capes allowed! 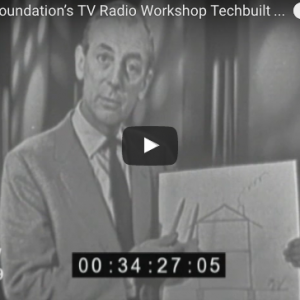 The initial group included engineers, scientists, musicians, artists, editors, a photojournalist, and other professionals. 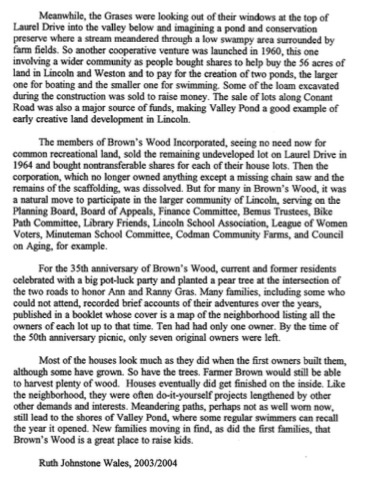 Each house was eventually deeded a share in Valley Pond, a large swimming, boating, and recreational resource in the neighborhood, developed under the leadership of members of Brown’s Wood for the larger Lincoln/Weston community. 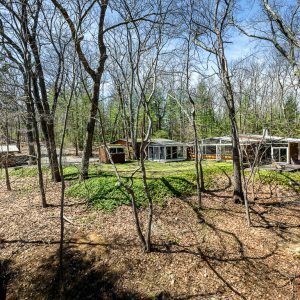 Brown’s Wood differed from the aforementioned neighborhoods in that it was the only of the group not conceived by an architectural firm, developer, or builder. 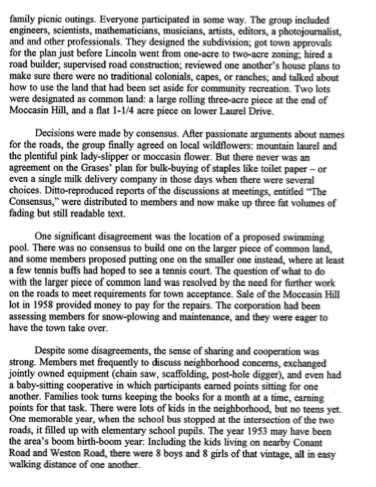 This was the project of a group of private individuals who did the work of planning, layout, incorporation, and zoning. 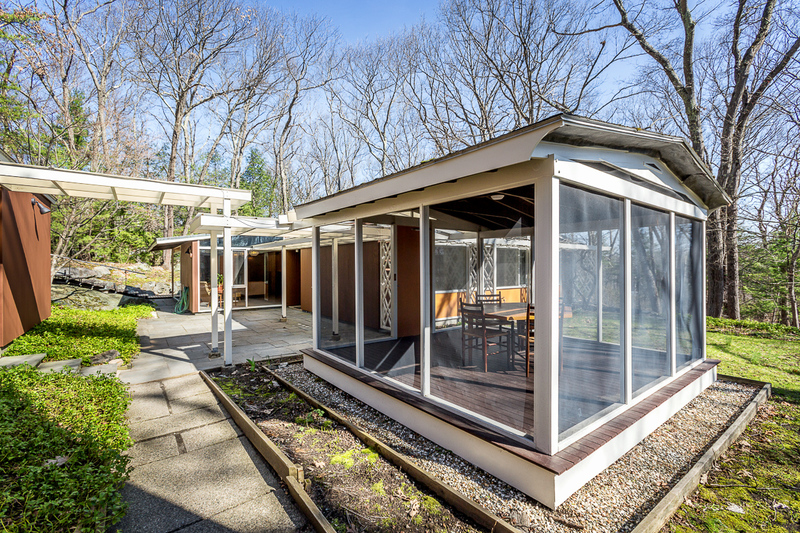 This was set before Lincoln switched to two-acre zoning.